We have many songs and music files on our computers, iPhone and Android phones. Music makes us relax and we listen to the music when we running, reading, taking bus, plane, etc. How about losing all your songs from computer or smart phone? You must be upset. However, you don’t need to. This article will show you ways of recovering deleted music from PC and smart phones. After losing your music/songs from your computer and phones, they still here. But you can’t find and play them. That is to say they are not permanently deleted or lost. We can use Data Recovery and smart phone recovery program to find the songs and recover them easily. The most important thing is stop using your device after losing music on it. This can avoid overwriting which will result in losing all your music files forever. 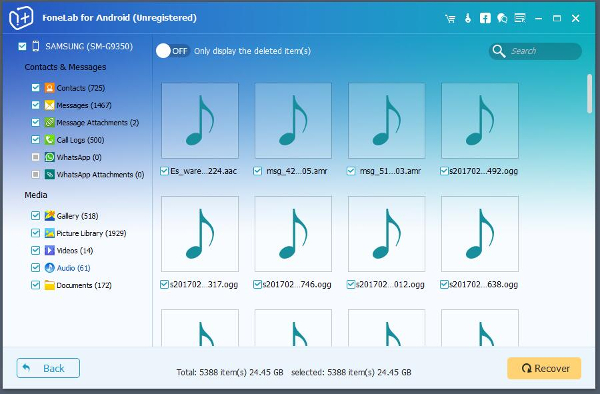 If you lose or accidentally delete music on your computer, you need to use Data Recovery program to scan your computer and find the deleted or lost music. You can check them and then restore any of them to computer easily. Besides music, it can also recover photos, videos, emails, document files. This Music Recovery software can find songs in any kind of audio format, including AIF/AIFF, M4A, MP3, WAV, WMA, MID/MIDI, OGG, AAC, etc. 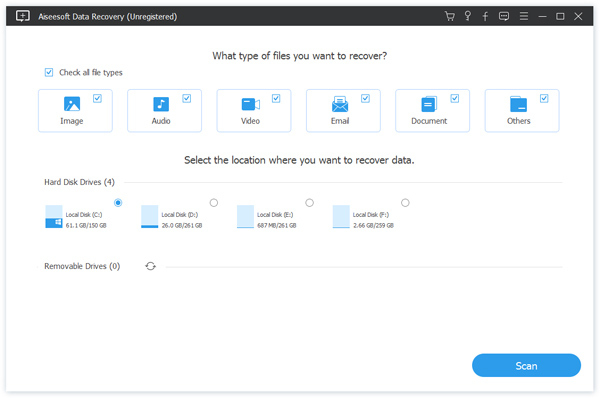 Free download, install and run Data Recovery software on your computer. Before installing, you need to select a different drive to install this program from the drive you lose or delete the music and audio files. On the main interface, you can easily select the “Audio” file as the file type you want to recover from your computer. Then you need to select where you want to scan and recover music from. You can easily select a location at the second part of the interface. Click “Scan” button, this program will begin to scan your drive and find the deleted and lost audio files for you. This program provides two kinds of scan mode. One is Quick Scan. The first time you click the “Scan” button, this program will do a Quick Scan for you. If you can find the music you want to get back in the result of the Quick Scan, just recover it. If you can’t, try to use Deep Scan mode and scan your drive again. It will take a longer time but with more results after scanning. After scanning, all the deleted and lost music will be listed on the interface with a data menu on the left side. You can go to “Audio” folder on the menu and find all the deleted music easily. Select the music or audio files you want to get back and click “Recover” button. You can easily recover deleted/lost music from PC. If you want to recover songs from Android based smart phone, you need to use Android Music Recovery program. It can scan your Android phone and recover any lost and deleted audio file for you. 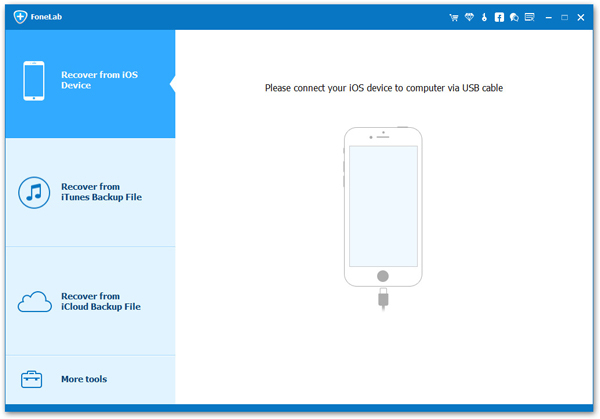 Run this Android Recovery program on your computer and connect your phone to computer via USB cable. This program will detect your phone easily. Enable USB debugging mode on your phone and this program will fully connect your Android phone. Select the file types you want to get back on the interface. You can scan your phone and SD card deeply after allowing the request of SuperUser Authorization. After scanning, this program will list all the deleted and lost audio files for you. You can find and select the music/audio files you want to restore. Click “Recover” button, all the selected music will be recovered and saved to your computer easily. For iPhone users, you need to use iPhone Data Recovery program to find and recover deleted/lost audio files from iPhone. You can also scan your iPhone backup file to extract audio files easily. This program can scan your iPhone deeply and find the lost and deleted data for you. You can find the music or songs in the result easily. If you have iPhone iTunes or iCloud backup file, this program can also scan them and find the deleted audio files for you. All the deleted music will be recovered directly to PC but not iPhone. If you want to get them on your iPhone again, you need to use your iTunes to transfer them. No matter where you lose or delete your audio files, this article provides method to get them back. But I still need to tell you that always backup your important data regularly. This is the best way to keep them from disappear.